$400.00 (Includes all Materials) . 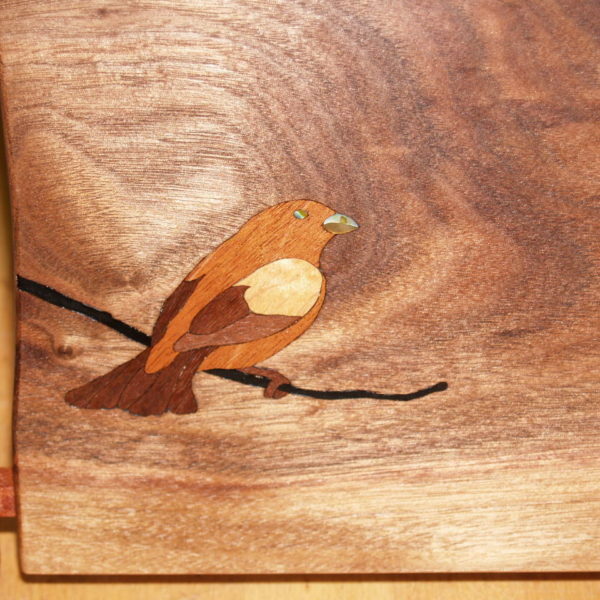 Using inlay to embellish your projects can be very rewarding. It’s a way to take your work to the next level, to set yourself apart from others. In this intensive two day class we will cover the following topics. 1. Tools, including the jeweler’s fretsaw, carving tools, shop made vises, and a vise that I personally designed and use. 2. Materials, including wood, mother of pearl, abalone shells, brass, silver, gold, and corian. 3. Design, cutting methods, gluing, leveling, and surface treatments. Come prepared to open yourself to the exciting world of inlay!